« Pikasso Senegal Acquires the Inventory of Doni SA. Passenger Terminal EXPO, the world’s leading international airport conference and exhibition, now in its 25th year, takes place in London next, between March 26-28, 2019 and once again it will provide the most significant opportunity for airports and airlines to debate current issues and form business relationships on a global scale, with 7,350+ people from at least 100+ countries attending each year. 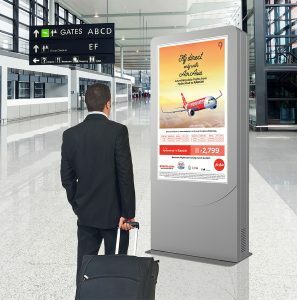 This entry was posted on Thursday, March 21st, 2019 at 12:00 @541 and is filed under DailyDOOH Update. You can follow any responses to this entry through the RSS 2.0 feed. You can leave a response, or trackback from your own site.